Perhaps it’s the pristine location, the classic beauty, or the history that has evolved here. Or maybe it’s the fact that one cultivates a sense of contentment throughout every season at Stowe. At Stowe Mountain Lodge, located at the base of Mount Mansfield within Stowe Mountain Resort, this unique New England town in Vermont reaffirms its place as a renowned four-season destination for discerning world travelers. General Housekeeper Duties – cleaning of guest rooms and public areas, replace linens in guest rooms, deliver guest amenities, provide excellent guest service. The Assistant Server is responsible for maintaining a clean and organized work station at all times according to Stowe Mountain Lodge standards. Also, provides sincere service through actions that display self-confidence, grace and courtesy to guests and colleagues. Kitchen clean up, dishwashing, light food preparation, facilities set-up and breakdown in food outlets/banquet areas, provide excelent guest service. Jiminy Peak Mountain Resort is the summer home to Mountain Adventure Park and the only mountain resort in North America to generate its own energy using alternative wind power. Jiminy features extensive conference and wedding facilities for groups up to 400 people. Since opening in 1948 Jiminy Peak has evolved to become a 4 season resort, offering something for everyone. Attentive to patrons on the courses. Facilitate proper harnessing of patrons. Facilitate waiver sign offs.Always include medical exclusions before patrons are harnessed up. Confirm all patrons meet course requirements. Punctual for all shifts. Helpful and friendly interaction with guests and fellow staff members. Assure that proper inspections have been completed prior to opening any course. West Shore Café is located on the western shore of Lake Tahoe and offers lodging, dining, boat rentals, and more during the summer season. Homewood Mountain Resort is located across the street from West Shore Café and offers both winter and summer recreation; in summer, bikes, kayaks, and stand-up paddleboards are available for rent. The prep cook is responsible for all large-scale cooking projects which cannot be executed directly at service. This includes production of all batch items, which become ingredients to execute individual dishes on the line. Provide excellent customer service, work in a fast-paced team environment. Requirements: Culinary experience and/or education. The dishwasher is responsible for washing dishes and kitchen cleanliness. Provide excellent customer service, work both individually and in teams, complete a variety of physical tasks indoors in the kitchen. Requirements: Strong customer service skills. Must be able to perform physical parts of the job. The busser is responsible for cleaning tables and the restaurant area, collecting used plates and utensils, as well as assisting servers and food runners. Provide excellent customer service, work in a fast-paced team environment in a variety of tasks dealing principally with Food and Beverage operations. Requirements: Must have great English and strong customer service skills. The food runner is responsible for delivering food from the kitchen to guests in the restaurant and assisting the expeditor with finishing dishes and performing quality control of food items. Provide excellent customer service, work in a fast-paced team environment in a variety of tasks dealing principally with Food and Beverage operations. The housekeeper is responsible for cleaning duties that maintain lodging accommodations in a clean and orderly manner. Provide excellent customer service, work in a fast-paced team environment in a variety of tasks. Requirements: Strong customer service skills. The best towns to look for housing are West Shore (Sunnyside, Homewood, Tahoma). http://www.craigslist.org. Groups are encouraged to organize before arrival. HR will do their best to assist groups that are looking for nearby housing. Check TART (http://www.placer.ca.gov/Departments/Works/transit/TART.aspx) for bus schedules or consider purchasing a bike if housing is within riding distance. It isn’t easy holding complex sentences together (just ask a conjunction or a subordinate), but the clever little coma can help lighten the load. But how to tell when help is really needed? Terisa Folaron offer some tricks of the coma trade. ¡Bienvenido a Utah y Park City! Park City está a sólo 35 minutos del aeropuerto Internacional de Salt Lake City. Park City es el lugar perfecto para disfrutar durante el verano también. Hay magníficas tiendas y boutiques y más de 100 restaurantes. Puedes disfrutar de las artes, cultura e historia de este pueblo de montaña. Park City es perfecto todo el año. Transporte. El autobús es gratis todos los días del año. Se toma en cualquier lugar de la ciudad. Propinas. Las propinas son usuales en EEUU y no están incluidas en las cuentas. En los restaurantes y bares están entre el 15 y 20 %, dependiendo de la calidad del servicio, taxistas (15 %), botones y cargadores de equipaje ($1.00 dólar por bolsa), masajistas o estilistas ($5-$10 dólares). Fumar en Utah. Está prohibido fumar en “lugares de acceso público”, por ejemplo: tiendas, supermercados, teatros, restaurantes, áreas comunes de los hoteles y en los autobuses. Pero está permitido en la mayoría de los bares y clubes privados. Bebidas Alcohólicas en Utah. Las leyes acerca del licor en Utah son fáciles de entender. Las bebidas alcohólicas se pueden servir con los alimentos en la mayoría de los restaurantes y hoteles. El licor se puede comprar en las licorerías de Park City (1550 Snowcreek Drive — en frente del Park City Market, 460 Swede Alley — China Bridge Parking Structure and 1612 Ute Blvd — Kimbal Junction). Debes tener 21 años para poder comprar y beber licor en Utah. Todas las licorerías están cerradas los domingos. La cerveza se puede comprar en los supermercados y otras tiendas de comida. En los clubes privados se sirve bebidas alcohólicas no sólo a los miembros del club. Todos son bienvenidos y puedes ser miembro con una cuota mínima. La diferencia entre clubes privados y restaurantes es la hora del día en la cual se sirven las bebidas. Los clubes pueden servir bebidas alcohólicas durante todo el día y los restaurantes sólo a partir del medio día. Puedes cambiar euros en Zions Bank y Wells Fargo Bank. Park City está a 2,103 metros sobre el nivel del mar y puedes ascender hasta los 3,220 metros. Se puede experimentar mal de altura. Los síntomas son: dolor de cabeza, mareo, fatiga y dificultad para respirar. Este desaparece generalmente dentro de las 48 horas. Se pueden minimizar los efectos si hacéis ejercicio con moderación los primeros días; beber más agua de lo usual; reducir el consumo de alcohol; comer alimentos altos en carbohidratos y evitar las comidas con alto contenido de sal. Stein Eriksen Lodge is more than a resort hotel, it is the best hotel in Park City, Stein Eriksen Lodge Deer Valley, has become a legend in its own right, offering guests an escape from the hustle and bustle of everyday life through luxurious accommodations, world-class dining, legendary service, and year-round recreation. Requires ability to follow directions, good guest relations (friendly and personable). Ability to understand and perform exceptionally high quality of work while working quickly and efficiently. Prior housekeeping experience preferred. Ability to communicate via radio, phone and person to person in English; Spanish language skills helpful. Good guest relations. Able to lift 50 lbs. Able to operate floor cleaning equipment. Good driving skills. Well organized, strong communication skills, food and beverage experience in a four or five star property/restaurant. Excellent problem solving skills and the ability to speak Spanish a plus. Must be able to carry large and heavy items. Must have audio-visual knowledge. Detail oriented person. Needs to be self-motivated and must work well with little or no supervision. HOUSING IS PROVIDED. Rental Amount: $450 /month. Deposit Amount: $400 before arrival. The Little Nell. The city of Aspen at our front door, Aspen Mountain at our back door. And in between, a gathering place for the free-spirited. We’re proud of our 5 Stars and 5 Diamonds — hospitality is our passion. From our kitchens to our cellars, with their 20,000 bottles of wine, from the Concierges in our lobby to the Concierges on our mountains, and from family adventure to après ski, this hotel is, guests have said, “the Aspen of Aspen.” Beautiful in summer too. Diswasher for hotel restaurants, maintain work area and kitchen clean, possibly assist with cold prep as needed. Bolton Valley is a full-service, four season destination resort set in the beautiful Green Mountains of northern Vermont. There are rivers and ponds to swim. You can get a chance to ride bike after work! CHULA VISTA RESORT. 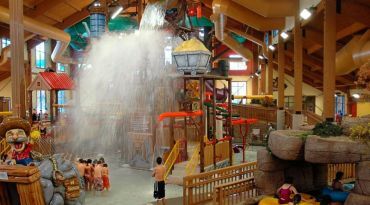 Wisconsin Dells. 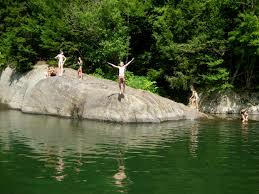 Chula Vista Resort is situated among hundreds of acres along the beautiful Wisconsin River. 100-foot tall Norway Pine trees add to the scenic river and Wisconsin Dells sunset views. Chula Vista is committed to keeping this area pristine for their guests. Through their green initiative they’ve taken dozens of measures to preserve the Wisconsin Dells. Chula Vista Resort provides 10 different onsite dining options, incredible indoor and outdoor waterparks, arcades, spa services and much, much more. Lodging options abound from luxurious guest rooms, suites, larger villas and our Rio Condominiums that sleep up to 14 guests. The number of rooms each participant is assigned depends on occupied rooms. The number of rooms is divided equally between the number of employees scheduled to work on a particular day. The objective is to thoroughly clean & restock each room in a timely manner. Tasks of housekeepers are, but not limited to; making beds, vacuuming, dusting, restocking, washing bathrooms, tubs, jacuzzis, sinks, toilets, floors & all glass surfaces. If the room includes a kitchen, they must be thoroughly cleaned as well including floors, cupboards, sink, oven, stove, range hood, dishwasher, & refrigerator. HOUSING PROVIDED. Rental Amount: $80 a week.